Where is your herd (or flock) spending this winter? Right about now, with snow, ice, mud and manure building up, you may be wishing you had a different option than the one you’re using. Here’s a solution you can start considering and maybe planning for next year! It’s a problem we face every year: how are we going to care for our livestock through the winter months, and what are we going to do with the load of mud, muck and manure that’s bound to accumulate? One answer might be a “Bedded Pack.” Basically it’s covered housing where animals can loaf, sleep and eat on a layer of bedding that is freshened daily or weekly. The building is also tall enough and wide enough for a tractor to move in and out for easy addition of fresh bedding and then springtime removal and use of the accumulated bedding and manure. 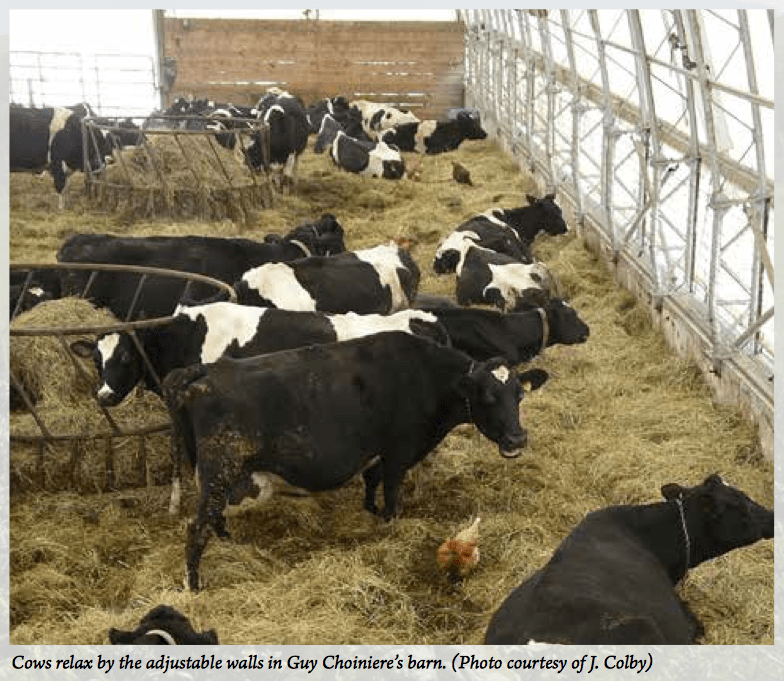 This kind of housing reduces incidents of mastitis and other health issues in dairy herds, requires less expense than liquid manure storage and application, and provides great compost to fertilize pastures and improve soil quality. It’s also the subject of a publication from the University of Vermont’s Center for Sustainable Agriculture. 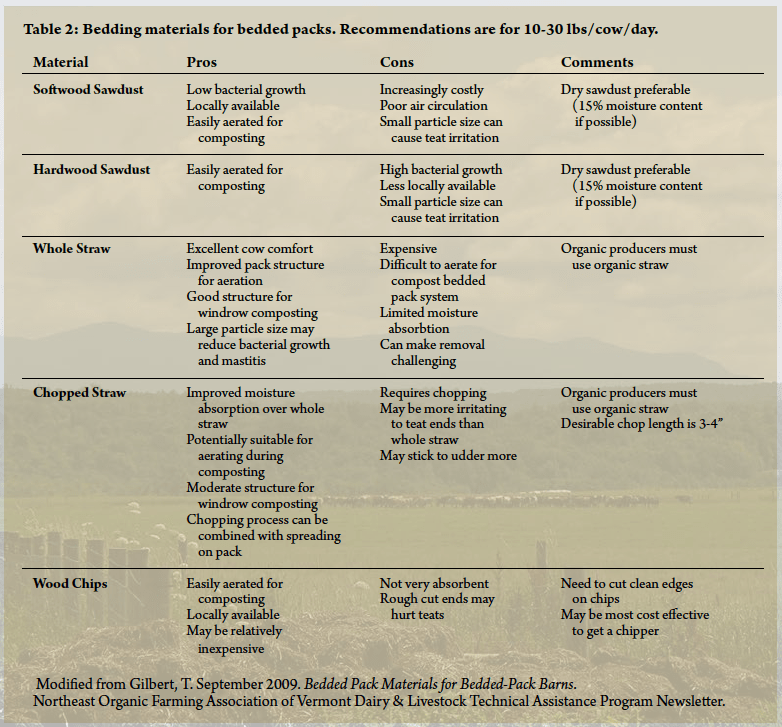 This new publication by Rachel Gilker, Josh Bakelaar, Mark Canella and Deborah Neher of the Center for Sustainable Agriculture is a great resource for learning more about bedded packs and how they might work for you. Just click to download the free, full publication! Installing a bedded pack can mean adapting an existing structure or building a new one. For example, Mark Russell of Orwell, Vermont houses his herd of 85 milkers in a barn that was on the property when he arrived. The owners of Rock Bottom Farm initially converted part of a pole barn into bedded pack housing, and are now building a new 30′ x 60′ pole barn for dry cows and heifers. Other farmers have invested in solar barns with wood or concrete siding and large doors for their herds. Whatever you choose to do, plan on 80-150 square feet for each bovine resident, depending on the size of the animal. 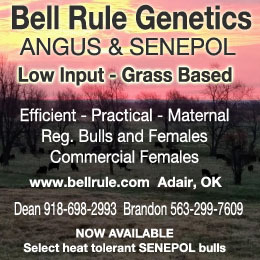 (Let me know if you’re considering one for other livestock and we can figure out size requirements for them as well.) Squeezing more cows into a smaller space is a bad idea. Farmer Guy Choiniere found that when he added just 10 cows to his pack it cost him an extra hour and a half in time plus another round bale every day to keep his animals and pack clean and dry. The roof needs to be high enough so you can drive your tractor in even after the floor is covered with 4 to 5 feet of accumulated bedding. The pressure of this much bedding on your building’s sidewalls is also something to consider. Wood walls may be less expensive, but may not have as long a life under pressure as concrete walls. Big doors are a must not only for your tractor, but because they improve ventilation, and thus help you manage moisture in the bedded pack. Moisture control is key to comfort and cleanliness. Keeping the pack dry is a big part of pack management. Hay, wood chips, shavings, sawdust, straw, paper, cardboard and chaff can all be used, but you may appreciate some more than others. The key is to choose something (or a mix of somethings) that is inexpensive and readily available and also controls moisture well. Using a mix of bedding types improves the compost, with each product bringing its own advantages and disadvantages. For example, the loft of hay or wood chips and the absorption of sawdust, in combination with a well-ventilated building can help you keep your pack dry. One farmer tried a 50/50 mix of chopped corn stalks and sawdust and ended up with bedding that composted better while creating a firmer surface that was easier for cows to walk on. In general, farmers I worked with found that hay doesn’t work as well as straw, and processed straw is even easier to work with. Mark Russell found that hay and straw didn’t give him as much moisture control as he wanted, so this winter he’s switched to processed hay as chopped hay should absorb more moisture. Wood chips are cheap, but don’t absorb moisture as well. When using wood chips, as Earl Ransom did, be sure they are well cut, and not jagged. When Ransom used wood chips, he reduced the amount of moisture held at the top of the pack by a combination of mixing the top 12-18″ of the surface into the lower layers of the pack, or by scraping the top 6 inches of the pack off each week. Bedding materials examples from “Bedded Pack in Vermont: Five Stories” Center for Sustainable Agriculture, University of Vermont. What’s the Cost of a Bedded Pack? Bedding costs are much higher for a bedded pack than for any other housing, using four times as much bedding as a typical freestall barn. When we worked with five farmers using bedded packs, the average cost of housing per cow per day was $3.98, ranging from $2.07 to $5.03. Labor time varied also, from a few minutes to a few hours each day. The variation was mostly because of the difference in conditions. The high costs and time spent happened when a farmer was forced to house too many animals in too small a space, or when a farmer added more bedding than was truly needed. For the more typical bedded packs, we found that farmers were spending about an hour each day managing them, and about $3 per cow per day. The table below is a quick look at costs. For a more in-depth economic analysis download the full publication. 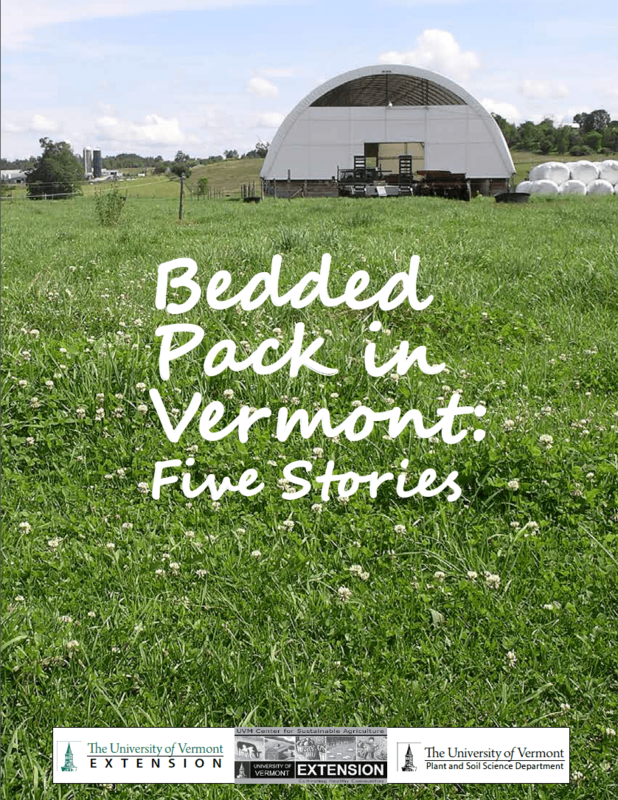 From “Bedded Pack in Vermont: Five Stories” Center for Sustainable Agriculture, University of Vermont. 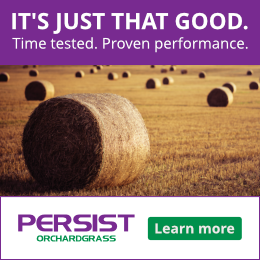 We all know that adding compost to pastures and fields enhances soil quality by improving nutrient content and increasing water holding capacity and soil biological activity. 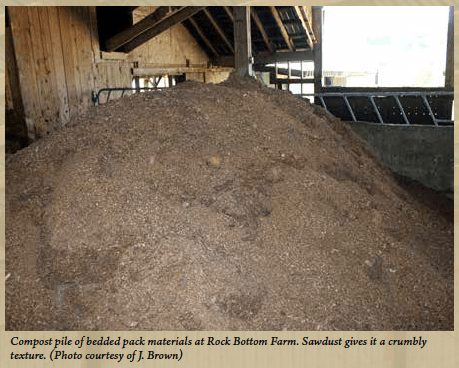 When pastures receiving composted bedded pack materials were compared to pastures receiving either no amendments or liquid manure, they showed improved soil biological activity, greater nutrient cycling, and the potential for higher forage production. 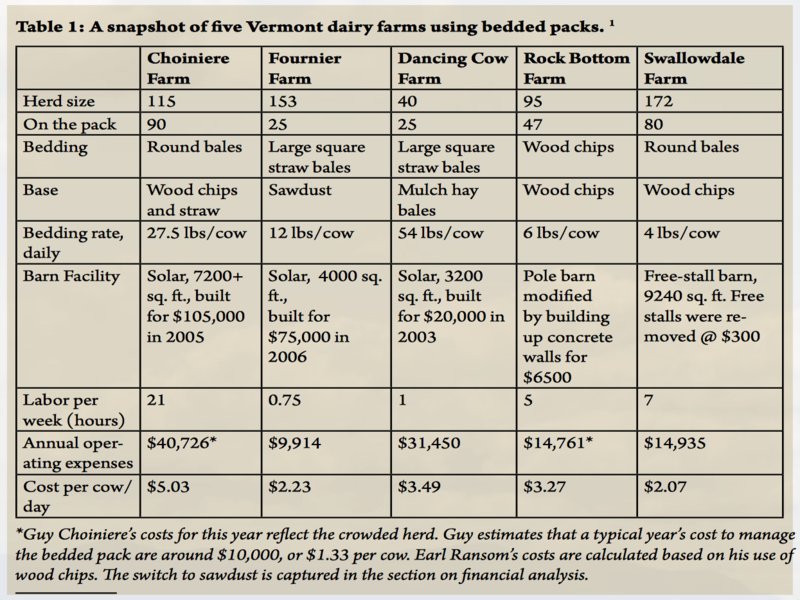 A publication by the University of Vermont’s Center for Sustainable Agriculture shares the stories of five grass-based dairy farmers experiences and expenses for using bedded packs. Bedded packs aren’t cheap to maintain, but they provide a great way to house livestock. Herd health on the pack is typically at its best, and milk production has been known to go up. To top it off, the packs make amazing compost to strengthen soil biological communities and enhance soil fertility. Because it all comes back to soil and animals. To learn more about bedded packs and how they’re managed, read the full publication here. Greetings Rachel and On Pasture readers! I just wanted to share an information and warn farmers or operators about the use of gypsum in bedded packs. While gypsum provides drier bedding and can potentially decrease pathogens (found in moister organic materials) and retain ammonia (and nitrogen), it’s use may be dangerous because it helps anerobic microorganisms releasing H2S (Hydrogen Sulfide) gas. H2S is heavier than air and can cause dizziness to operators. However, heavy exposure to this hazardous gas can be fatal. Although, I have no knowledge about VT farmers using gypsum in their bedded packs, a Cornell report informed that some New York farmers have used it in their deep bedded packs. As a recommendation, maintain well ventilated facilities, take breaks (especially during clean up), have a contingency plan and keep unnecessary people away from manure facilities.